I’ve found that when I’m nursing, I can eat most anything I want and not gain weight. Lately, I’ve had to up the amount of food I normally eat just to maintain. Of course, that doesn’t mean I want to load up on all the junk food my heart desires. So to appease my creative side as well as my sweet tooth, I’ve been experimenting with oatmeal cookie recipes. Studies say oats are good for nursing mamas, and at this point, I’ll take all the help I can get as I’m nursing an 18 lb baby who’s a week shy of four months old. At the rate he’s growing, right now it seems I’ve got enough to sustain him without any herbal supplements, but I’d also like to keep it that way. In the future, if I need some help with milk production, I’m sure I can add in brewer’s yeast or fenugreek to these cookies. But for now, I’ll keep them simple with oats and some good fats, such as coconut oil and almond butter. 2. In mixing bowl, beat coconut oil and sugar until blended. 4. 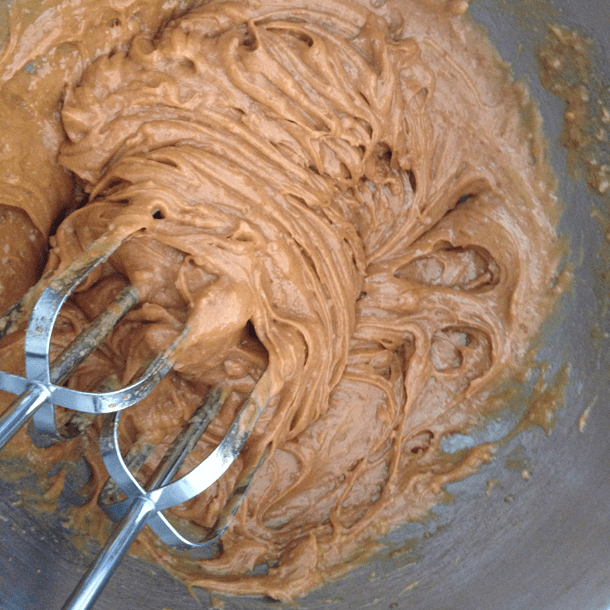 Beat in vanilla, baking soda, pinch of sea salt and almond butter until creamy. 5. 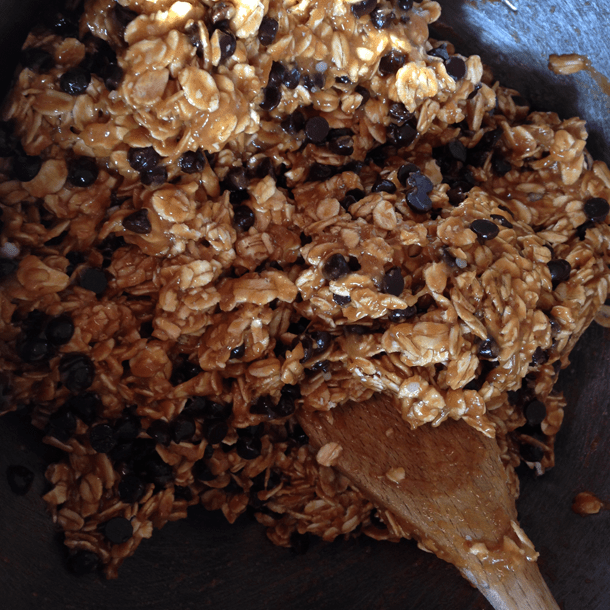 Stir in chocolate chips until evenly distributed. 6. Stir in oats. Batter will be chunky. 7. 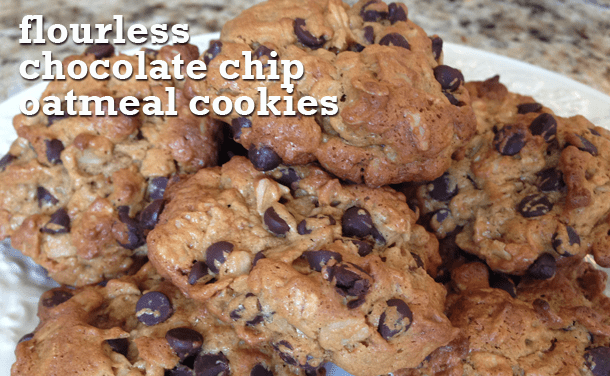 Place 2 inches apart on non-stick baking sheet and bake for roughly 7 minutes at 350 degrees. My oven runs a bit hot, so you may have to bake for 8 minutes.